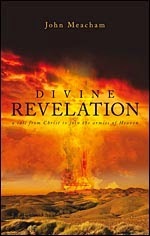 Divine Revelation: A Call From Christ to Join the Armies of Heaven by Christian author John Meacham reveals his life as once a backsliding Christian and potential alcoholic to becoming a prophet of God in his dramatic return to the Lord through a sequence of events that led to many divine revelations from the Lord. After being accused of a hit and run accident, John Meacham's life spun out of control – he cried out to God and God saved him. Delivered from addiction and persecution, John committed himself to the Lord's service and enlisted in the armies of Heaven. His story is unique, real and supported by scriptural accounts of the supernatural realm as revealed through a series of dreams, visions and leadings of the Holy Spirit. John writes to encourage and exhort the Church to "wake up" from slumber and join the armies of Heaven in waiting for Christ's Second Coming. John's story is one that will surprise, challenge and encourage one to look at their own life, reflecting on the Word of God, giving one a chance to inspect their own thoughts, convictions and beliefs. Meacham shares his struggles as he became dedicated to the Lord and walks in the office of a prophet. Candidly, Meacham shares his born again experience and offers such chapters such as: God Speaks, Accepting Jesus, The Dazzling Light, Jesus Sings, Dreams of The Second Coming, Christ in Galilee that are written for the reader to understand the urgency of the matter: Jesus is soon to come. He shares the Gospel in a way that ignites a passion for Christ and His purposes, bringing many back from backsliding, warning a lazy church to recognize the times, as the End Times. An absolutely fantastic and impressive read that will transform your life, encouraging all to join the armies of Heaven! You may get your copy of Divine Revelation: A Call FromChrist to Join the Armies of Heaven at Amazon, at Barnes and Noble and in NOOK Book. You may find out more about the author and his books at the home of John Meacham. Christian authors use CBM Christian Book Reviews to share the Kingdom of God around the world.